Disclaimer: This item entry is actually not available for purchase from store.weekendmodder. It is a referral link to Amazon. *The price populated of $96.72 is the current price of the Amazon item linked to on 5/27/18. 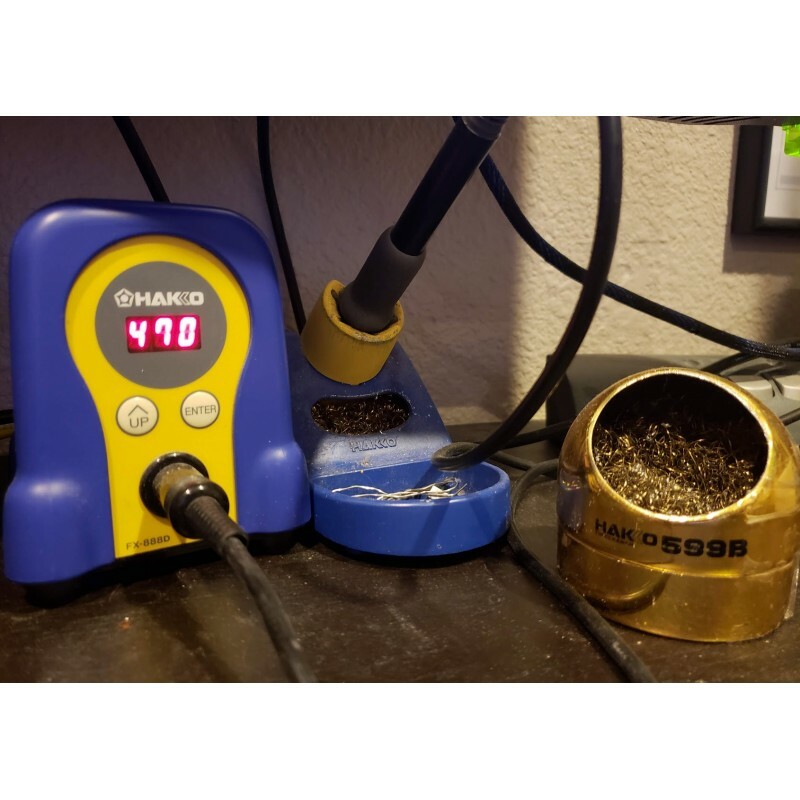 I get asked at least once a week by email or YouTube comment what soldering iron I use so I thought I'd just share. 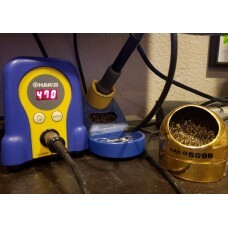 I use a Hakko FX-888D. I bought it ~4 years ago used from a guy who quit modding and it replaced the iron that was built into my Aoyue 968A+ that I still have and like a lot. It has a huge library of possible tips, and digital temperature control. I run my iron around 470C, which is hot but I work fast. 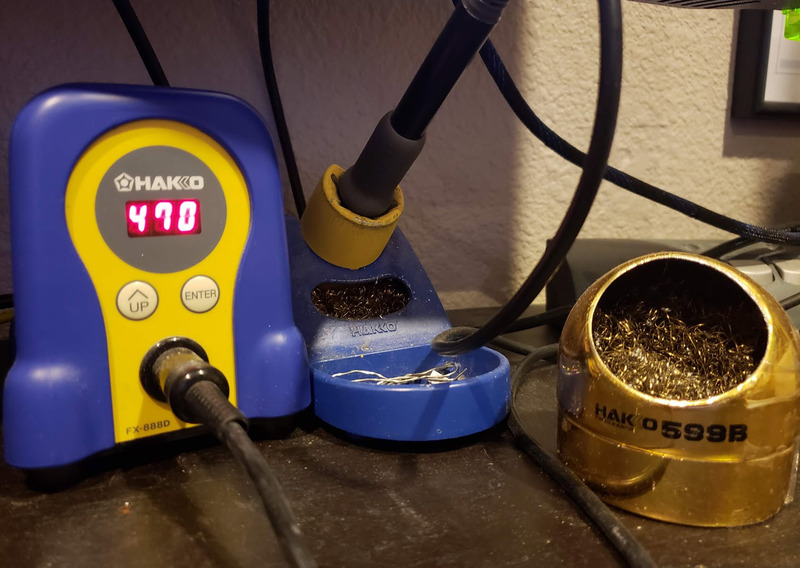 Beginners may want to try starting around 350C and moving up 30C at a time until it feels right to you. Before the Aoyue, the first decent iron I'll admit to buying was this Stahl Tools SSVT iron. It's a bit slow to heat - but the variable temperature is a must so you can dial in to what works best for you. If you're looking for a cheaper option, it's only $28 on Amazon now and I think it'd serve a beginner well.